Ample Parking. Complimentary valet parking available Tuesday through Saturday from 5 pm to close. Valet stand located inside the parking garage on the ground level behind the restaurant at Queensbury Lane. 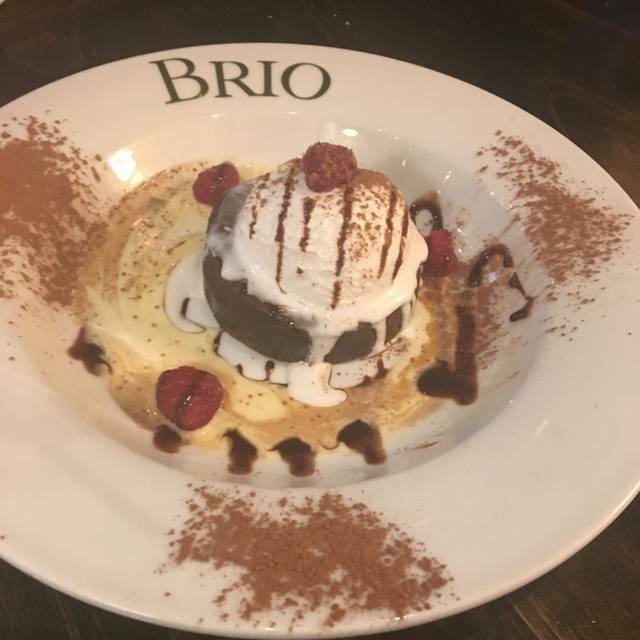 BRIO (meaning "lively" or "full of life") is a "polished casual" restaurant serving authentic, northern Italian cuisine. 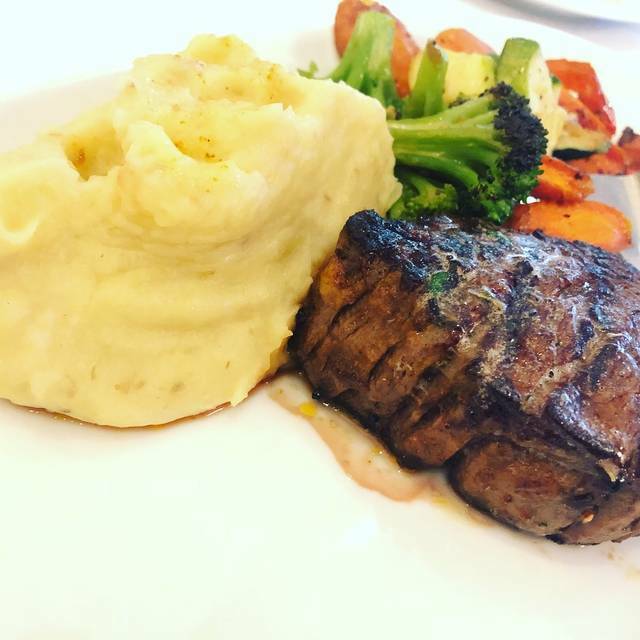 The subtitle, "Tuscan Grille" is descriptive for a menu that features broiled steaks, chops, and seafood; similar to what one would find in an authentic ristorante in Tuscany. 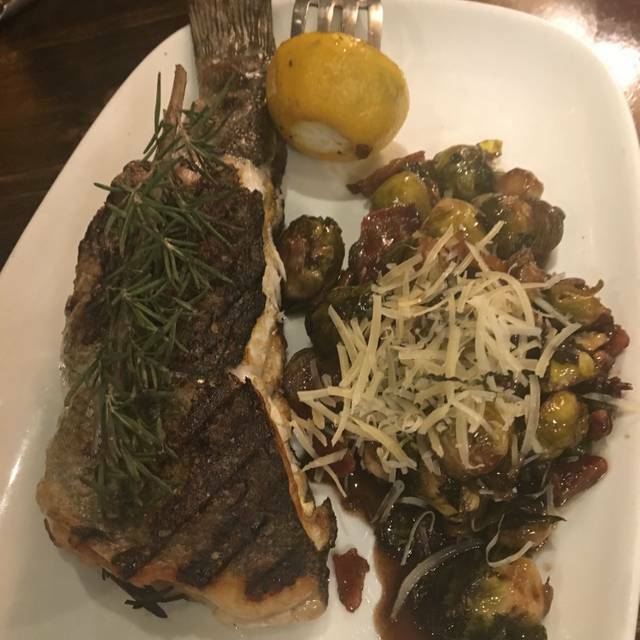 BRIO's philosophy of "to eat well, is to live well" is why they only use the finest and freshest ingredients. BRIO brings the pleasure of a Tuscan country villa to the American city. To learn more, go to www.BrioItalian.com. We came to celebrate my daughters 16th Birthday. The good was yummy and the staff was attentive. Everything arrived warm to our table. It was my first time dining there and I will be back. While the service was good, I was extremely disappointed in the food. Having previously eaten there, I was expecting to be just as satisfied, however the portions were way too small and the food was mediocre at best. Food was not good at all and its way overpriced. We Sent a dish back and was still charged for it. I wanted something a little nicer for a birthday and was very disappointed. 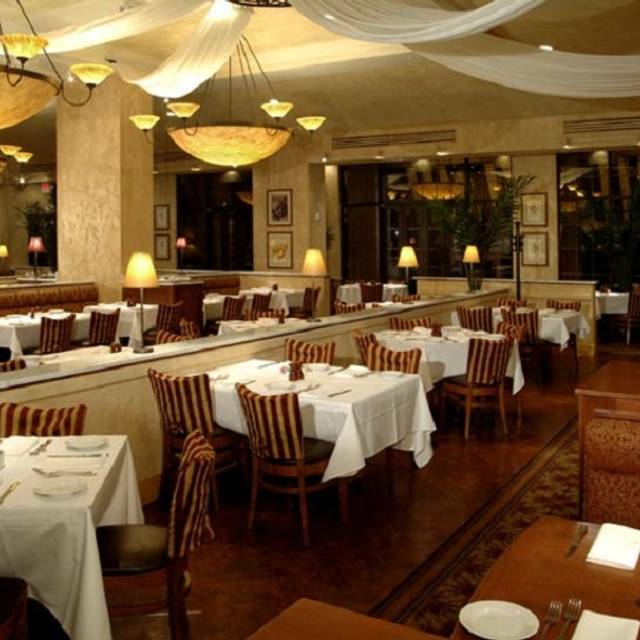 I love Brio, the food, the atmosphere, the price is fair and the friendly staff. To that end, I visit regularly. That being said, I believe I have had good to great service 1 or 2 of the (probably) 30 or so times I've been in over the past years. 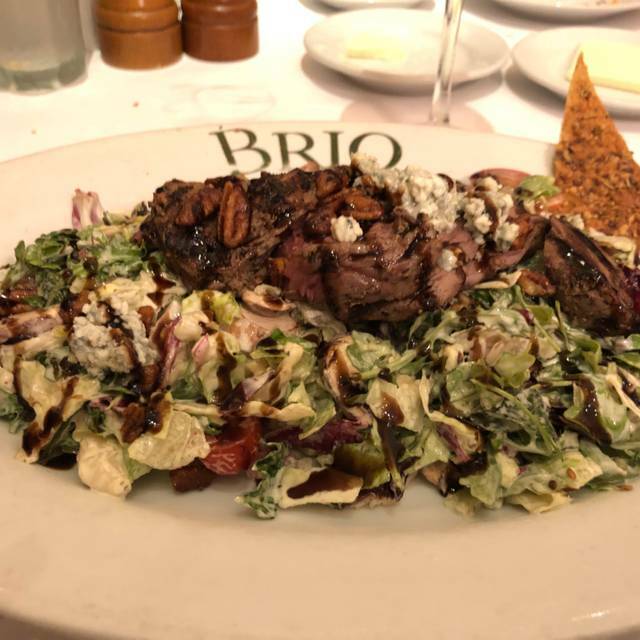 I recommend Brio for a great happy hour, lunch or dinner with the caveat that your meal will be leisurely (not necessarily a bad thing) and service might be a bit lacking. Everything was fab. Our waiter was very attentive and easy going. Food was spot on and the location is great. We had poor service from the moment we arrived at the restaurant. We had to ask the waitress to refill our water multiple times and she rarely came to check on us. We were told at the front desk that we would receive free ice cream since it was one of our guest birthday. However, our waitress told us we would not get free dessert. After ordering dessert, the waitress put the dessert on the birthday girl’s tab. We asked if we could split the dessert on two other people’s tabs and she said she could not split the dessert on multiple tabs. Food and atmosphere was great. Everyone had a great time and the wait staff was outstanding. We had my daughter's birthday dinner there and it turned out perfect! Our waitress was wonderful. She got us out in time for another event we had. The food was delicious. As always the lobster bisque was wonderful and the primary reason we come to brio. Unfortunately the shrimp and lobster fettuccine was not up to the usual standards of brio with the lobster being quite rubbery and tasteless. My first less than wonderful experience at brio. Ordered Shrimp and Lobster Fettuccine. Noodles were tougher than I’d like and some of the lobster wasn’t done. Food was very bland. Waiter was polite enough, but had such a poor grasp of English that communication was difficult. My husband and I had the salmon & vegetables. It was outstanding in taste, presentation, and cooked to our request. Our pinot grigio was also delicious and the service was polite and quick. We were seated rather near the kitchen, so the noise level was a little high for us. Nearby parking garage was convenient. Food was good, service very good, ambience was fair. Favorite restaurant in that part of Houston. Food is always excellent with good pricing. The dinner was very good and we had a great time, food was excellent. The wine options were great and nicely priced. the pepper shrimp and eggplant appetizer was fantastic. The server was awesome, as this was a business dinner she just watched and would come over when she would not be interrupting the review of presentation or etc - she was excellent . The dinners were a nice variety for everyone's tastes and the shrimp and lobster was the hit of the table. Great atmosphere! The food and atmosphere were great. I only gave 4 stars because we did have difficulty getting the waiter's attention when we needed something. Overall, the food was great though! 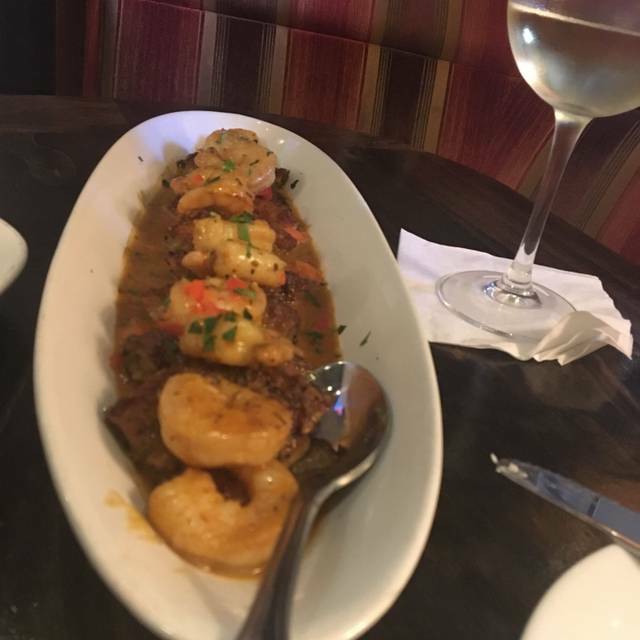 Food was great, service was outstanding! Will definitely be back! 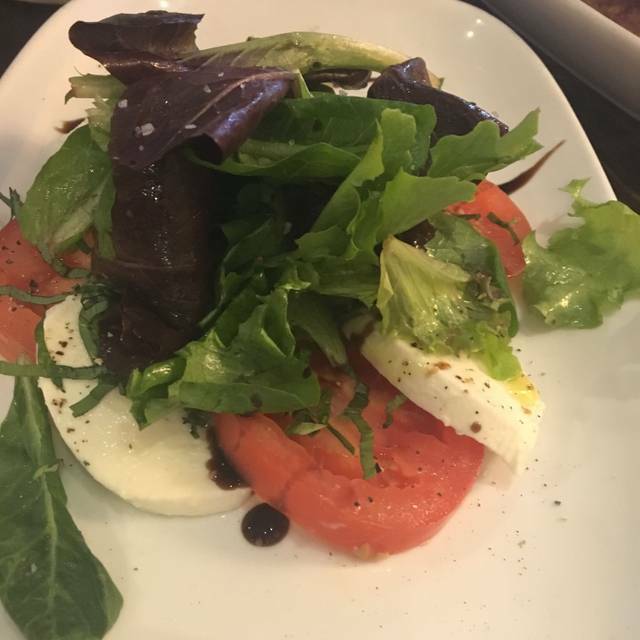 I have been visited Brio Tuscan Grille three times last year for company lunch and those experiences were two thumbs up but this time is so disappointed because the salad is not fresh and the soup is too salty. Went there with a friend for her birthday. She likes the eggplant app during happy hour, but I saw the "BOGO" promotion and we decided we'd go for dinner. After arriving, we were told we had to order one meal and one to go, each. Nowhere in the promo does it say that. After discussing it with the manager, our server came back and said he'd go ahead and let us order one meal and get the other free. I had the chicken marsala and she had the chicken piccata. The portions were large and the lemon chicken piccata was good, but the marsala dish was way over-spiced with oregano. We did not order dessert but they brought out a scoop of vanilla ice cream with a candle in it for her birthday. It appeared to be such an afterthought, and when the server lit the candle it immediately fell over and went out; she made no effort to fix it. This is probably the third and last time I will go to Brio. There are just too many good restaurants at City Center. Wonderful experience, but noise level is way too loud. Very nice atmosphere! Our server Alexander was very professional and accommodating! 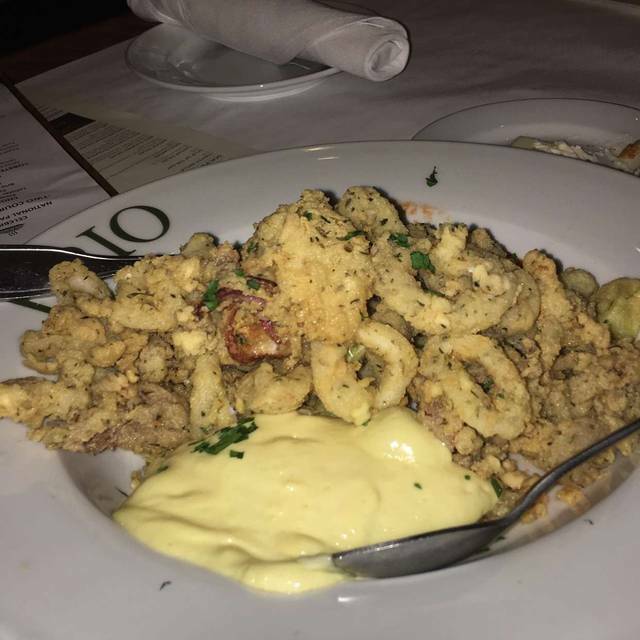 The food was delicious and nicely portioned so, I would definitely recommend Brio Tuscan Grille for any occasion! Lovely visit with great friends. Service was very attentive without bothering. Loved the choices on brunch menu. We will return. I went for my 29th birthday dinner with family and friends. The wait staff was great. However, the food was terrible. Four others at my table ordered the Pan Seared Salmon. The portions were tiny and the spinach that came on the side was extremely salty. I’ve been here before and never had any issue with the food but clearly quality is no longer at the forefront. I was completely disappointed. Had the most AMAZING dining experience...ambiance, taste, presentation, courteous staff, efficient! It just can’t be beat! We’ll be going back real soon...wish they were closer to my neighborhood...deep Missouri City (Fort Bend County)! Excellent environment and good tasty food. Service is good. Will visit again. Very beautiful atmosphere and very good food. The margherita flatbread was on point!!! Our Waiter Javier was fantastic!! He was courteous and we never needed to ask for anything! Best service I have had in such a longtime! The food was great and the service was great. It was a bit noisy but other than that it was nice. Excellent service ... great food...!! Excellent service. Food speed was a little slow but expected because it was Valentine’s day. This is my favorite “happy hour” venue. Food was great during Restaurant Week. Not so good for Valentines Day. Also they had white paper on the table over the tablecloth due to the crowds. Seemed a little visually “tacky” and actually tacky. My martini glass stuck to it causing me to spill it. My wife was gorgeous so all was good.